Hiring? Toptal handpicks top data visualization designers to suit your needs. Cameron comes from a design background and is the author of two web design books: Color for Web Design and The Smashing Idea Book. Consuming large sets of data isn’t always straightforward. Sometimes, data sets are so large that it’s downright impossible to discern anything useful from them. That’s where data visualizations come in. Creating data visualizations is rarely straightforward. It’s not as if designers can simply take a data set with thousands of entries and create a visualization from scratch. Sure, it’s possible, but who wants to spend dozens or hundreds of hours plotting dots on a scatter chart? That’s where data visualization tools come in. What Are Data Visualization Tools? Data visualization tools provide data visualization designers with an easier way to create visual representations of large data sets. When dealing with data sets that include hundreds of thousands or millions of data points, automating the process of creating a visualization, at least in part, makes a designer’s job significantly easier. 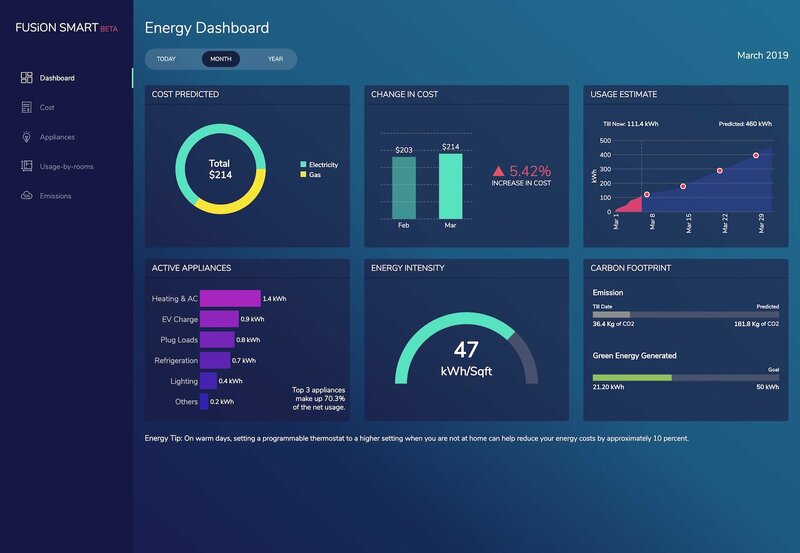 These data visualizations can then be used for a variety of purposes: dashboards, annual reports, sales and marketing materials, investor slide decks, and virtually anywhere else information needs to be interpreted immediately. 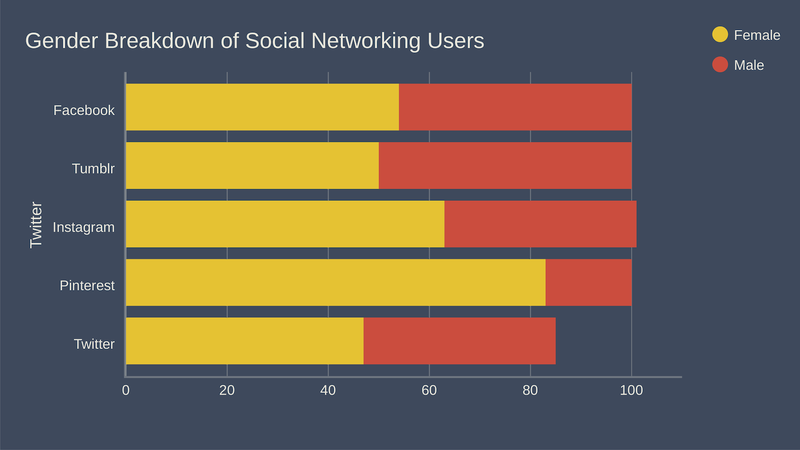 What Do the Best Data Visualization Tools Have in Common? 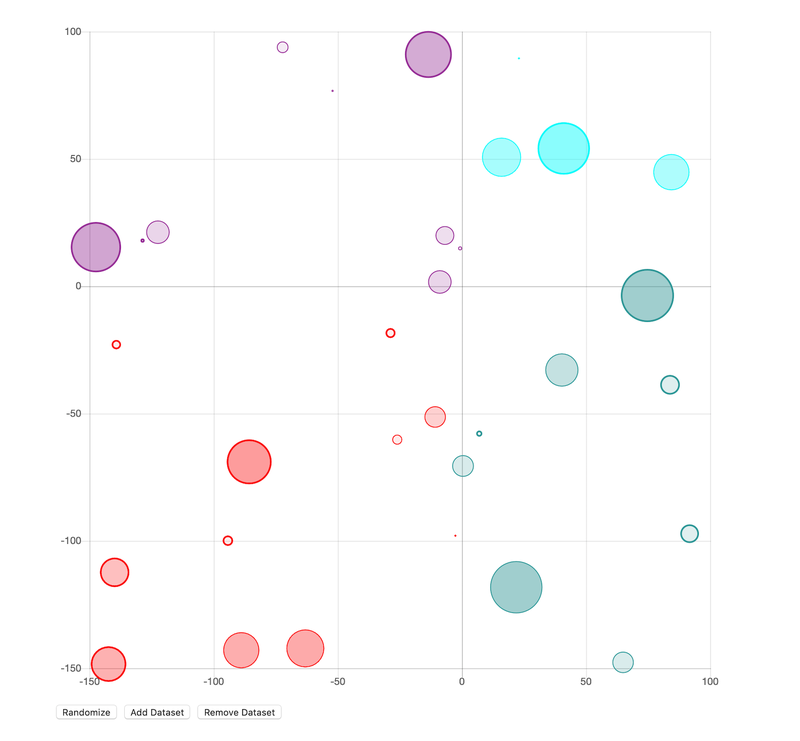 The best data visualization tools on the market have a few things in common. First is their ease of use. There are some incredibly complicated apps available for visualizing data. Some have excellent documentation and tutorials and are designed in ways that feel intuitive to the user. Others are lacking in those areas, eliminating them from any list of “best” tools, regardless of their other capabilities. The best tools can also handle huge sets of data. In fact, the very best can even handle multiple sets of data in a single visualization. The best tools also can output an array of different chart, graph, and map types. Most of the tools below can output both images and interactive graphs. There are exceptions to the variety of output criteria, though. Some data visualization tools focus on a specific type of chart or map and do it very well. Those tools also have a place among the “best” tools out there. Finally, there are cost considerations. While a higher price tag doesn’t necessarily disqualify a tool, the higher price tag has to be justified in terms of better support, better features, and better overall value. There are dozens, if not hundreds, of applications, tools, and scripts available to create visualizations of large data sets. Many are very basic and have a lot of overlapping features. But there are standouts that either have more capability for the types of visualizations they can create or are significantly easier to use than the other options out there. Tableau has a variety of options available, including a desktop app, server and hosted online versions, and a free public option. There are hundreds of data import options available, from CSV files to Google Ads and Analytics data to Salesforce data. Output options include multiple chart formats as well as mapping capability. That means designers can create color-coded maps that showcase geographically important data in a format that’s much easier to digest than a table or chart could ever be. The public version of Tableau is free to use for anyone looking for a powerful way to create data visualizations that can be used in a variety of settings. 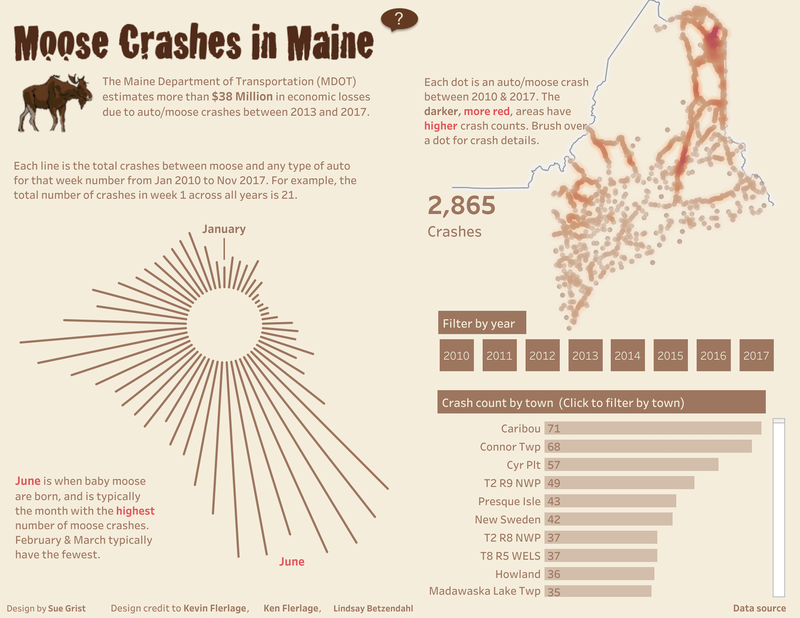 From journalists to political junkies to those who just want to quantify the data of their own lives, there are tons of potential uses for Tableau Public. They have an extensive gallery of infographics and visualizations that have been created with the public version to serve as inspiration for those who are interested in creating their own. 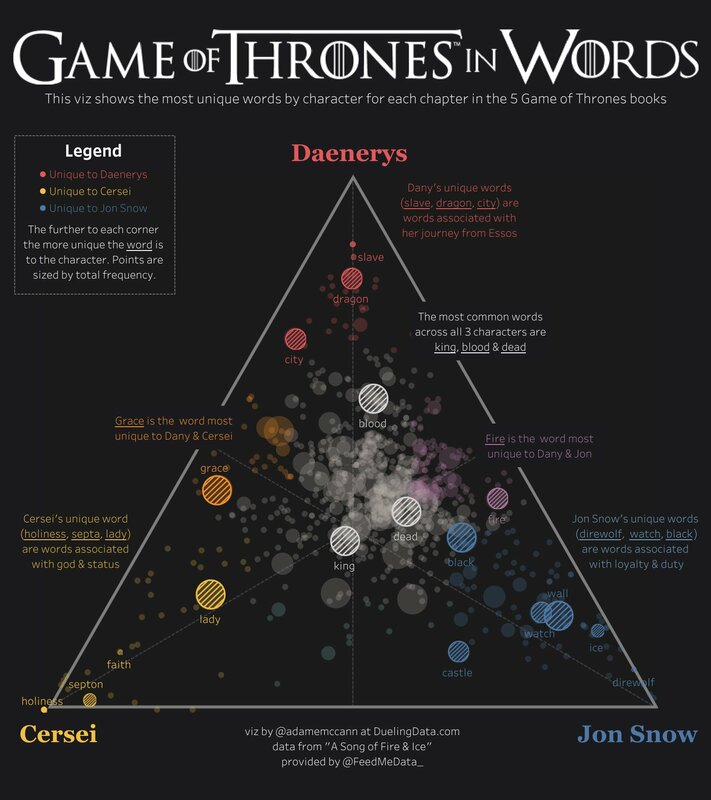 A data visualization of unique words used by three central characters in the Game of Thrones book series. Data visualizations can make public safety data easier to digest. Tableau is a great option for those who need to create maps in addition to other types of charts. Tableau Public is also a great option for anyone who wants to create public-facing visualizations. 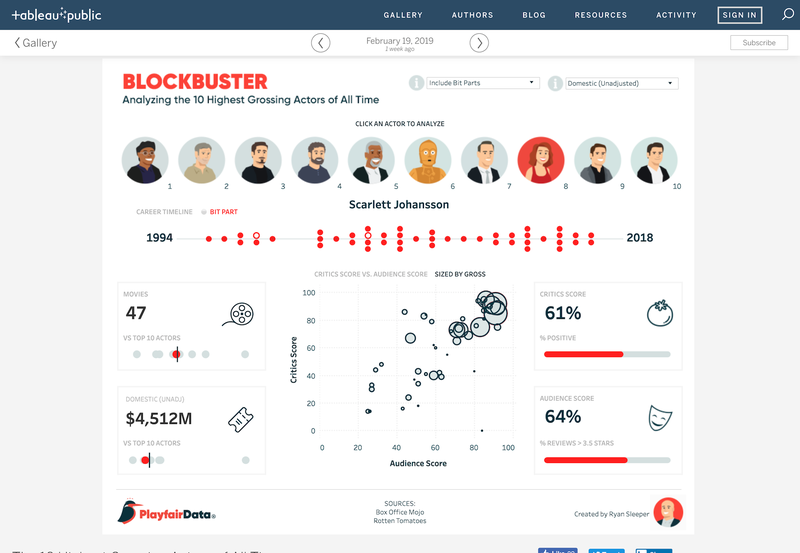 Infogram is a fully-featured drag-and-drop visualization tool that allows even non-designers to create effective visualizations of data for marketing reports, infographics, social media posts, maps, dashboards, and more. Finished visualizations can be exported into a number of formats: .PNG, .JPG, .GIF, .PDF, and .HTML. Interactive visualizations are also possible, perfect for embedding into websites or apps. Infogram also offers a WordPress plugin that makes embedding visualizations even easier for WordPress users. Visualizations can make complex topics easy to understand. 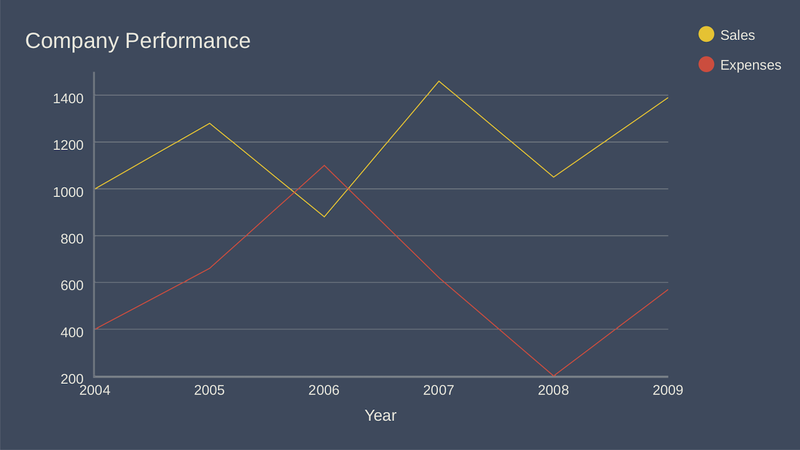 Charts make data easier to compare, year-to-year. 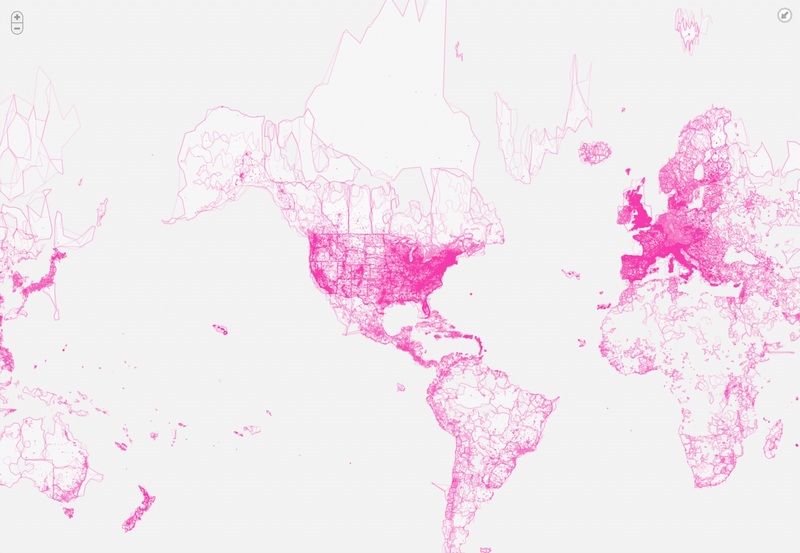 Maps are an excellent way to give a snapshot of worldwide data. Infogram is a great option for non-designers as well as designers. The drag-and-drop editor makes it easy to create professional-looking designs without a lot of visual design skill. 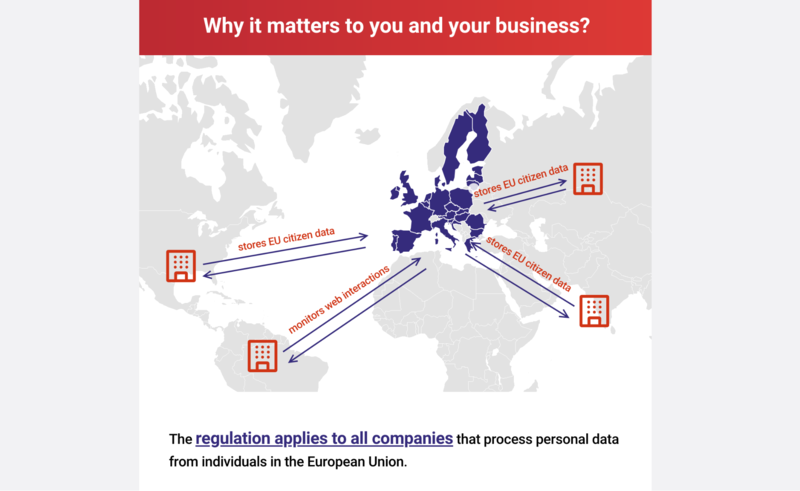 ChartBlocks claims that data can be imported from “anywhere” using their API, including from live feeds. While they say that importing data from any source can be done in “just a few clicks,” it’s bound to be more complex than other apps that have automated modules or extensions for specific data sources. The app allows for extensive customization of the final visualization created, and the chart building wizard helps users pick exactly the right data for their charts before importing the data. 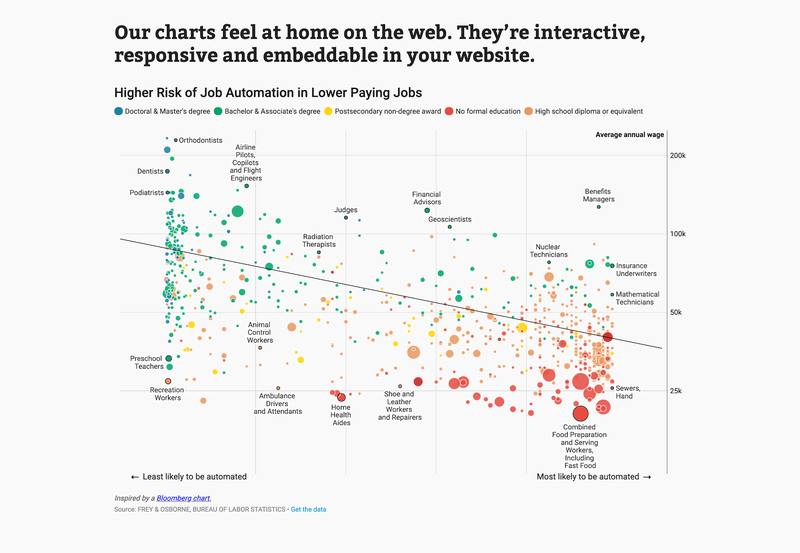 Designers can create virtually any kind of chart, and the output is responsive—a big advantage for data visualization designers who want to embed charts into websites that are likely to be viewed on a variety of devices. Stacked graph charts are an effective way to compare and contrast data. Scatter plots are a simple way to represent data trends. Line charts are effective at showing trends and comparisons. ChartBlocks has an excellent free plan, which is a big plus. The ease of use for creating basic charts and graphs is also outstanding. Datawrapper was created specifically for adding charts and maps to news stories. 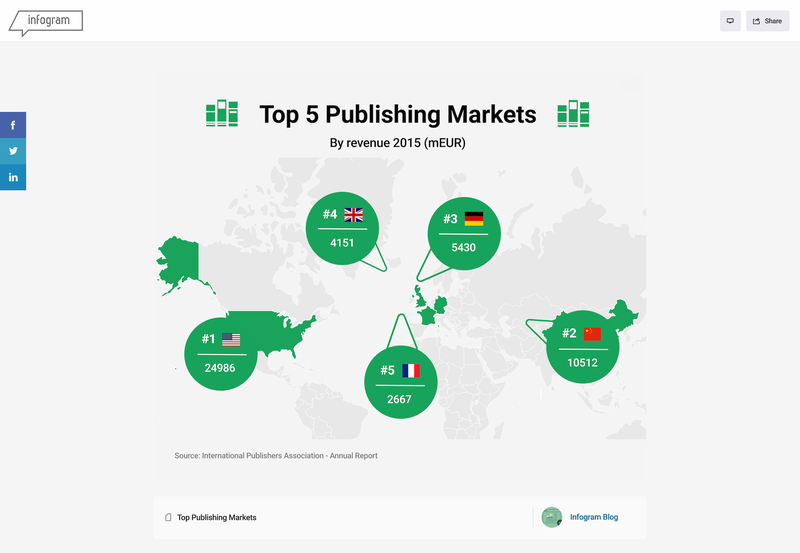 The charts and maps created are interactive and made for embedding on news websites. Their data sources are limited, though, with the primary method being copying and pasting data into the tool. Once data is imported, charts can be created with a single click. Their visualization types include column, line, and bar charts, election donuts, area charts, scatter plots, choropleth and symbol maps, and locator maps, among others. The finished visualizations are reminiscent of those seen on sites like the New York Times or Boston Globe. In fact, their charts are used by publications like Mother Jones, Fortune, and The Times. The free plan is perfect for embedding graphics on smaller sites with limited traffic, but paid plans are on the expensive side, starting at $39/month. 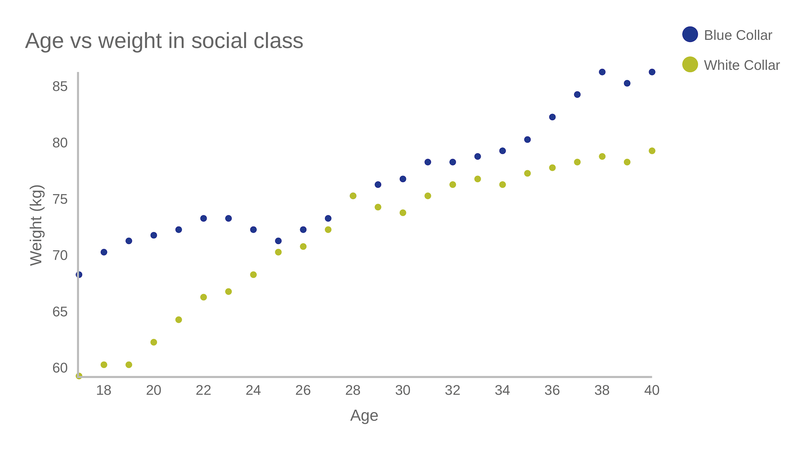 Scatter plots can show a multitude of data, especially when color-coded to show more points. Datawrapper is an excellent choice for data visualizations for news sites. Despite the price tag, the features Datawrapper includes for news-specific visualization make it worth it. 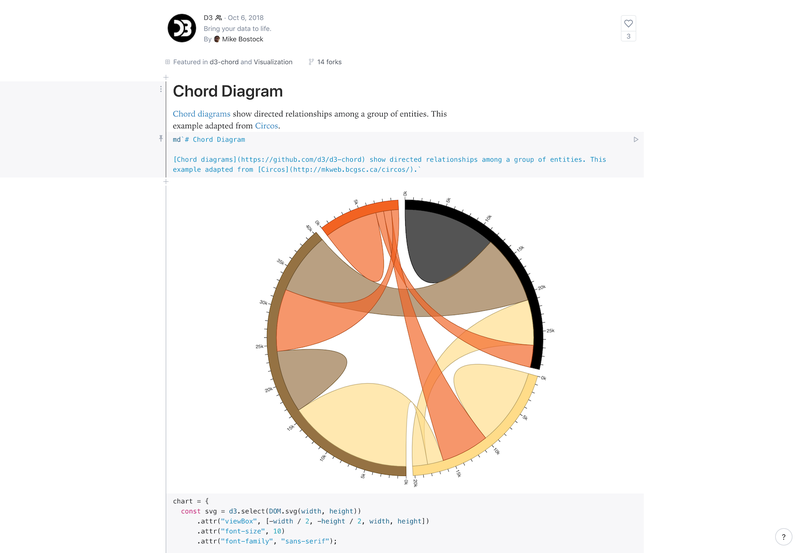 Those apps include NVD3, which offers reusable charts for D3.js; Plotly’s Chart Studio, which also allows designers to create WebGL and other charts; and Ember Charts, which also uses the Ember.js framework. Chord diagrams show relationships between groups of entries. Showing geographic data is best done with data maps. 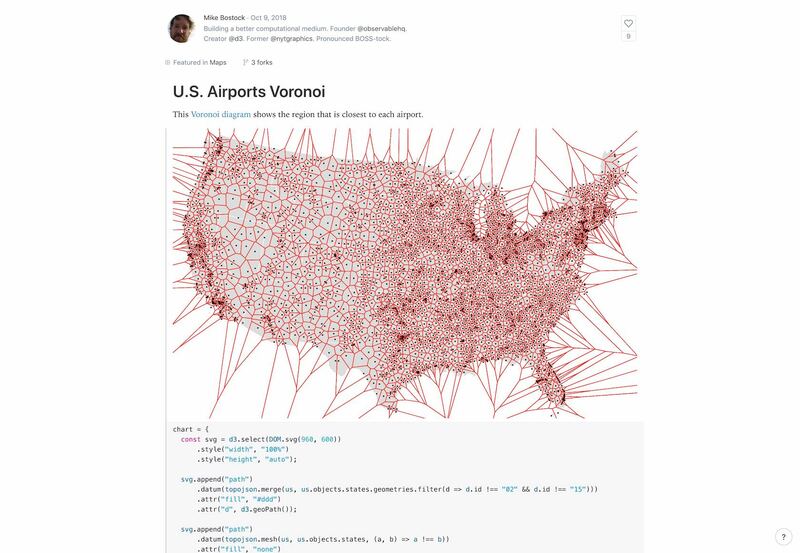 Voronoi maps are an interesting way to show geographic data. D3.js is only suitable for those designers who either have access to a programmer for help or have programming knowledge themselves. Google Charts is a powerful, free data visualization tool that is specifically for creating interactive charts for embedding online. It works with dynamic data and the outputs are based purely on HTML5 and SVG, so they work in browsers without the use of additional plugins. Data sources include Google Spreadsheets, Google Fusion Tables, Salesforce, and other SQL databases. There are a variety of chart types, including maps, scatter charts, column and bar charts, histograms, area charts, pie charts, treemaps, timelines, gauges, and many others. These charts can be customized completely, via simple CSS editing. Combo charts show trends and comparisons. 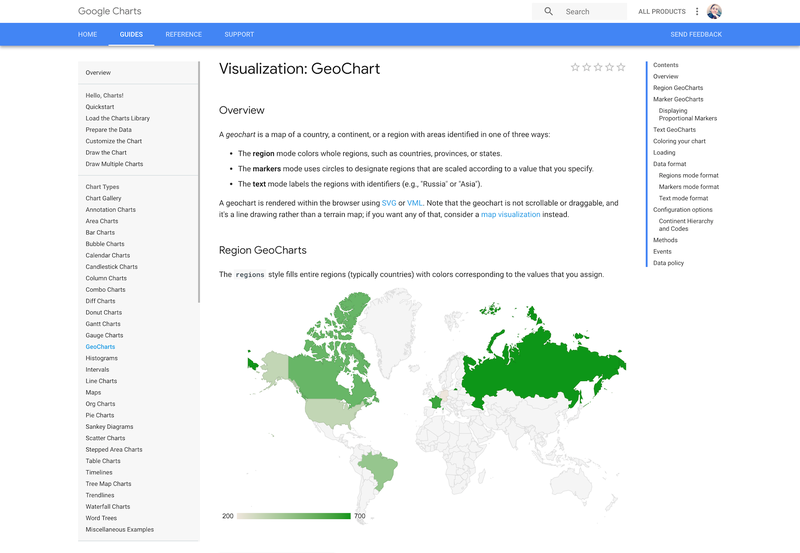 GeoCharts are just one method of visualizing data with Google Charts. 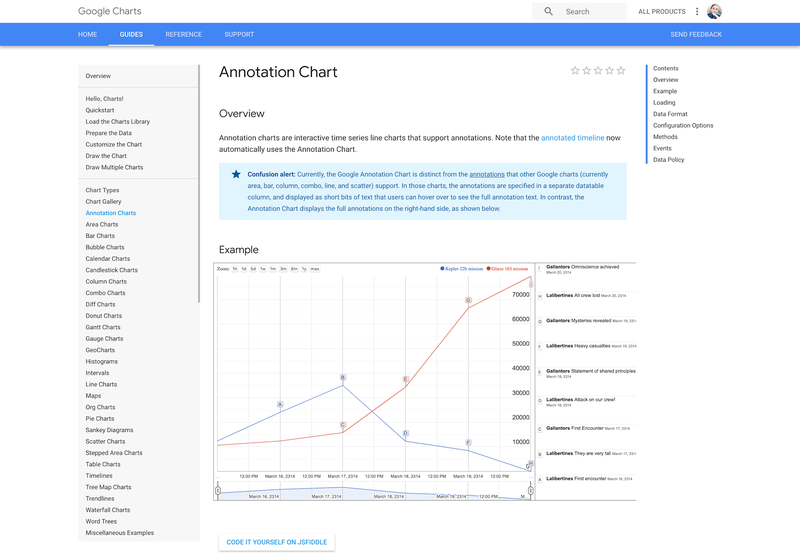 Annotations make charts and graphs easier to understand. 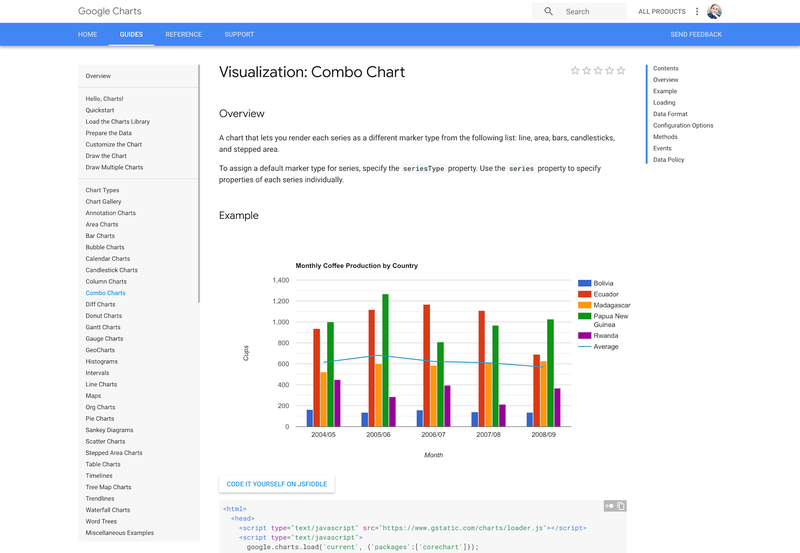 Google Charts is a great option if a designer is somewhat comfortable with coding and wants a powerful, free solution. Being able to use any SQL database as a data source makes it a good option for large data sets, too. FusionCharts gives ready-to-use code for all of the chart and map variations, making it easier to embed in websites even for those designers with limited programming knowledge. Because FusionCharts is aimed at creating dashboards rather than just straightforward data visualizations it’s one of the most expensive options included in this article. But it’s also one of the most powerful. FusionCharts is designed for creating data visualization dashboards. 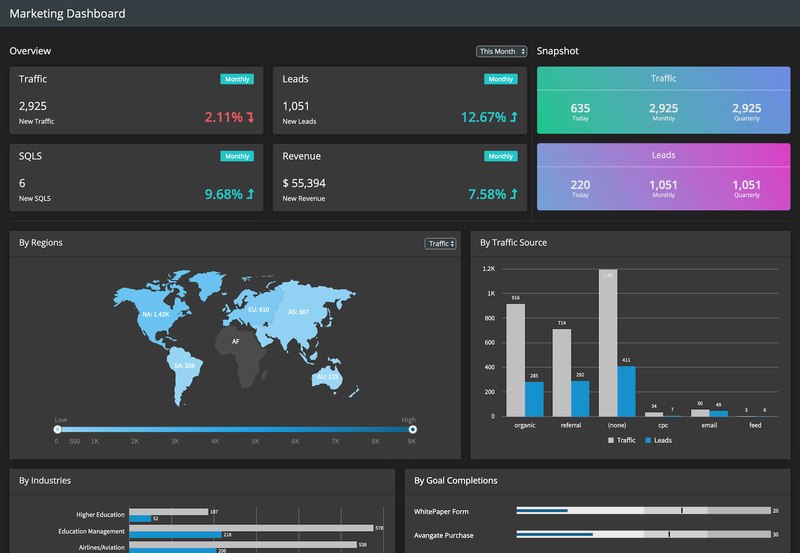 Dashboards can showcase numerous data visualizations side by side. 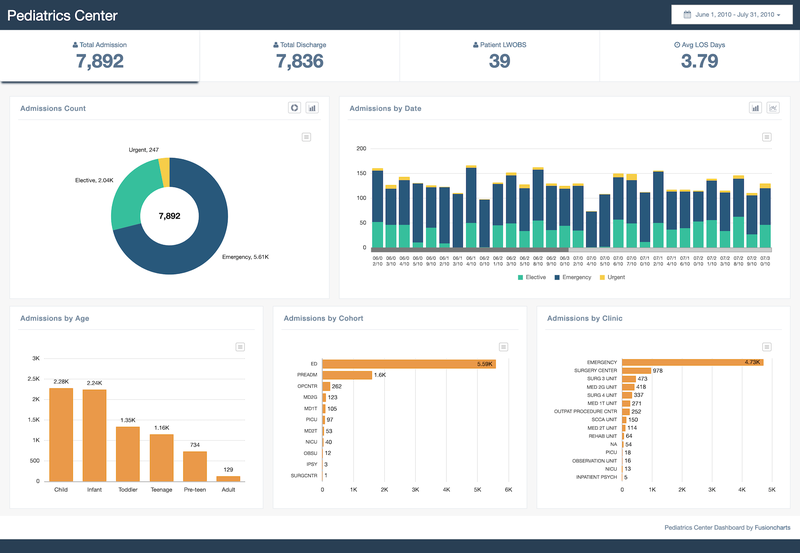 Managing business operations is done best with data visualization dashboards. For creating dashboards, nothing else in this article really compares to FusionCharts. If that’s the project at hand, this is undoubtedly the most powerful choice. 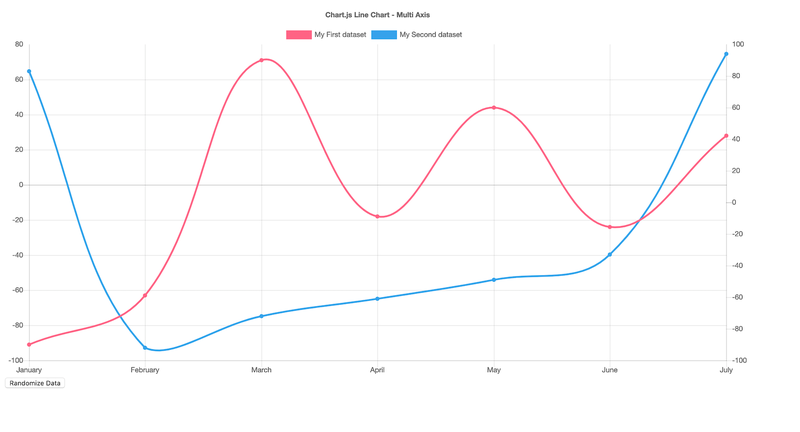 Chart.js uses HTML5 Canvas for output, so it renders charts well across all modern browsers. 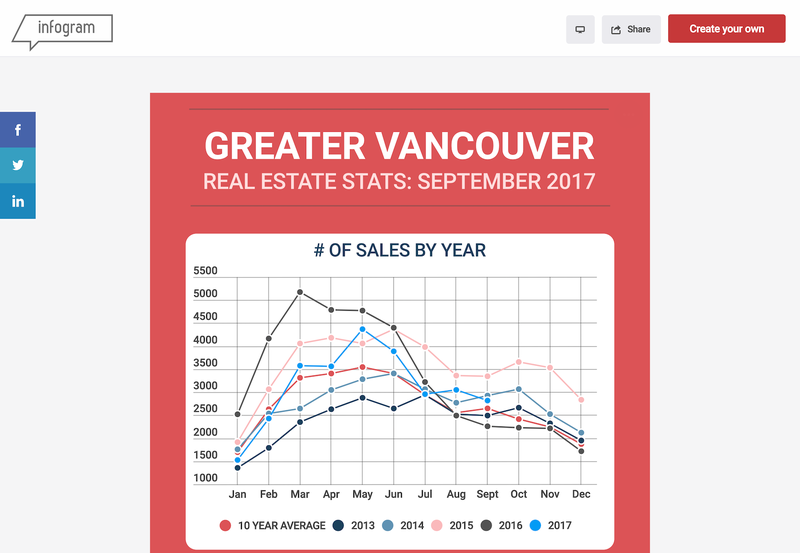 Charts created are also responsive, so it’s great for creating visualizations that are mobile-friendly. Bubble charts can showcase numerous data points simultaneously. Multi-axis line charts are better when they're annotated (this one uses tooltips when hovering over points on the lines). 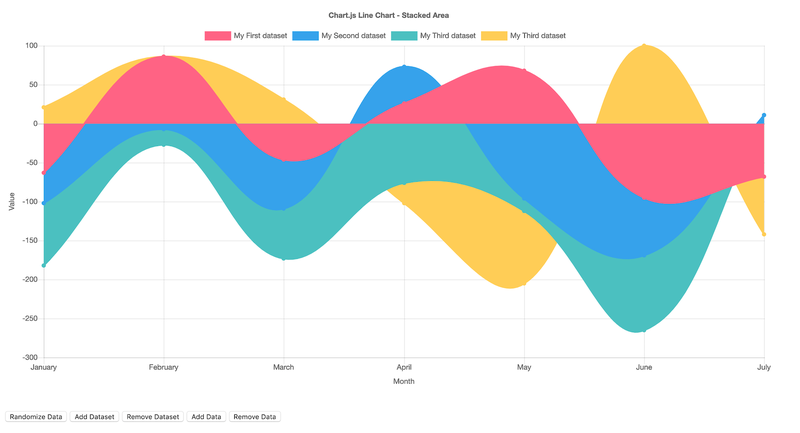 Stacked area line charts are visually striking visualizations. Chart.js is a good option for designers who need a simple, customizable, interactive visualization option. Its biggest selling points are that it’s free and open source. 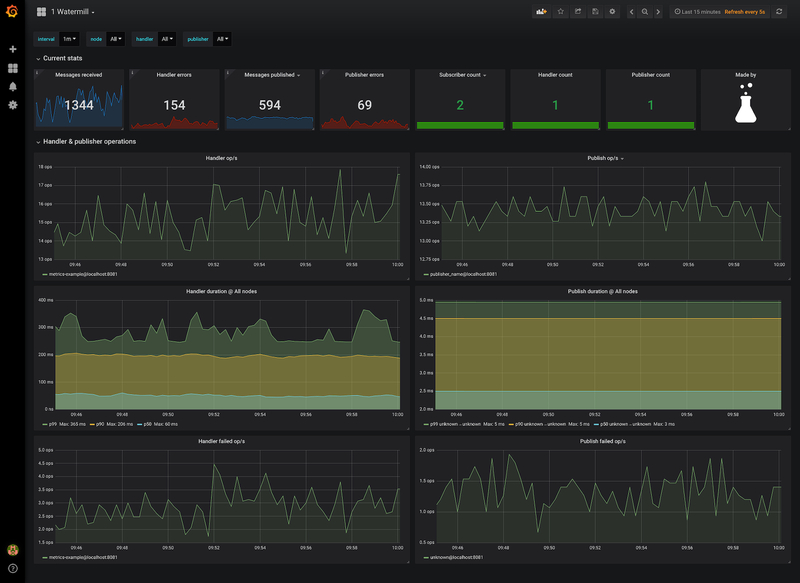 Grafana is open-source visualization software that lets users create dynamic dashboards and other visualizations. It supports mixed data sources, annotations, and customizable alert functions, and it can be extended via hundreds of available plugins. That makes it one of the most powerful visualization tools available. Export functions allow designers to share snapshots of dashboards as well as invite other users to collaborate. Grafana supports over 50 data sources via plugins. It’s free to download, or there’s a cloud-hosted version for $49/month. (There’s also a very limited free hosted version.) The downloadable version also has support plans available, something a lot of other open-source tools don’t offer. Grafana is a powerful data visualization dashboard tool. 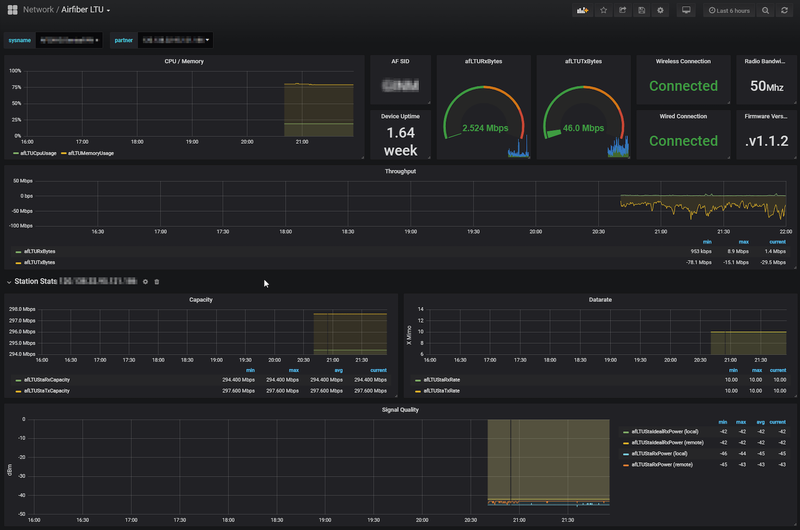 Grafana is one of the best options for creating dashboards for internal use, especially for mixed or large data sources. Chartist.js offers a number of basic graph types. 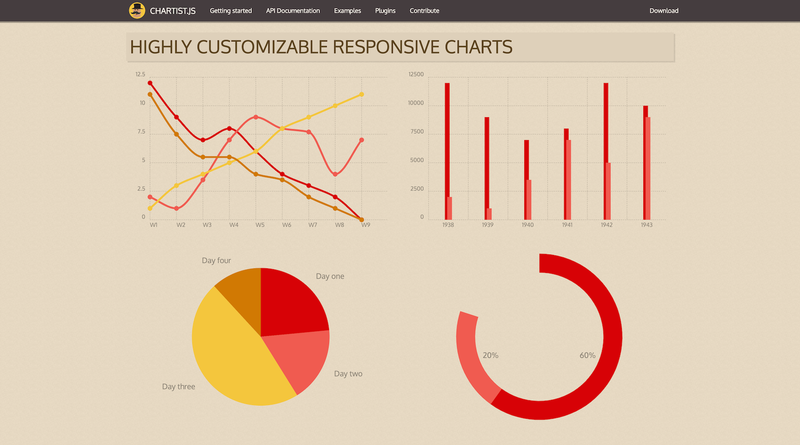 Chartist.js is a good option for designers who want simple, embeddable, responsive charts with a small file size. 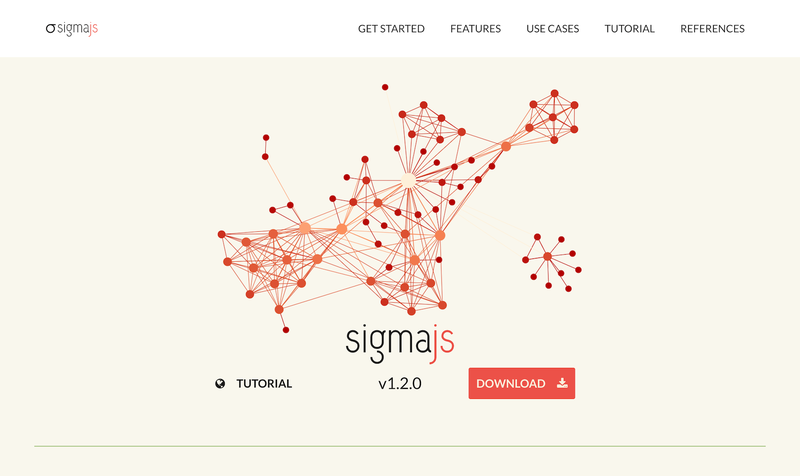 Sigmajs creates network graphs exclusively. 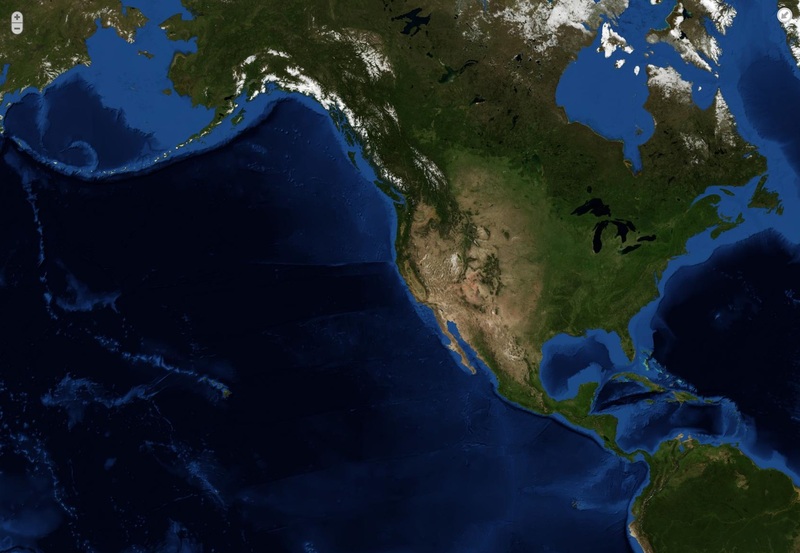 In this case, the data represented is a photoset from NASA's Earth Observatory. Polymaps is a good option if maps are the only type of visualization required, as long as the designer is comfortable with some basic coding. There is such a huge variety of visualization tools available to designers that it can be hard to decide which one to use. Data visualization designers should keep in mind things like ease of use and whether a tool has the features they need. Selecting the most powerful tool available isn’t always the best idea: Learning curves can be steep, requiring more resources to just get up and running, while a simpler tool might be able to create exactly what’s needed in a fraction of the time. Remember, though, that the tool is only part of the equation in creating a data visualization; designers also need to consider what else goes into making a great data visualization. Most data visualization tools include free trials (if the entire tool isn’t free), so it’s worth taking the time to try out a few before deciding on a single solution. What are the best data visualization tools? 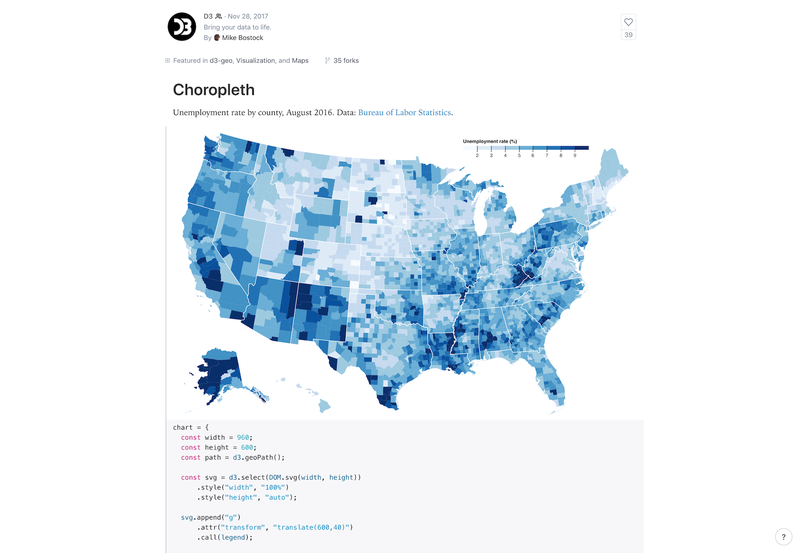 The best data visualization tools include Google Charts, Tableau, Grafana, Chartist.js, FusionCharts, Datawrapper, Infogram, ChartBlocks, and D3.js. The best tools offer a variety of visualization styles, are easy to use, and can handle large data sets. Data visualization tools provide designers with an easier way to create visual representations of large data sets. When dealing with data sets that include hundreds of thousands or millions of data points, automating the process of creating a visualization makes a designer’s job significantly easier. What are data visualization techniques? Data visualization techniques include charts (line, bar, or pie), plots (bubble or scatter), diagrams, maps (heat maps, geographic maps, etc. ), and matrices. There are many variations on these specific techniques that designers can use to meet specific visualization needs based on the data they’re working with. Why do we use data visualization? Large data sets with thousands or millions of data points are almost impossible to discern usable information or draw conclusions from unless some kind of visualization is employed, whether it’s a basic graph or an interactive data visualization dashboard. How important is data visualization? Without data visualizations, drawing conclusions from large data sets or even discerning usable information from them is almost impossible. Using data visualization methods, designers can make information understandable for stakeholders.